My first thought about Ramborn cider? 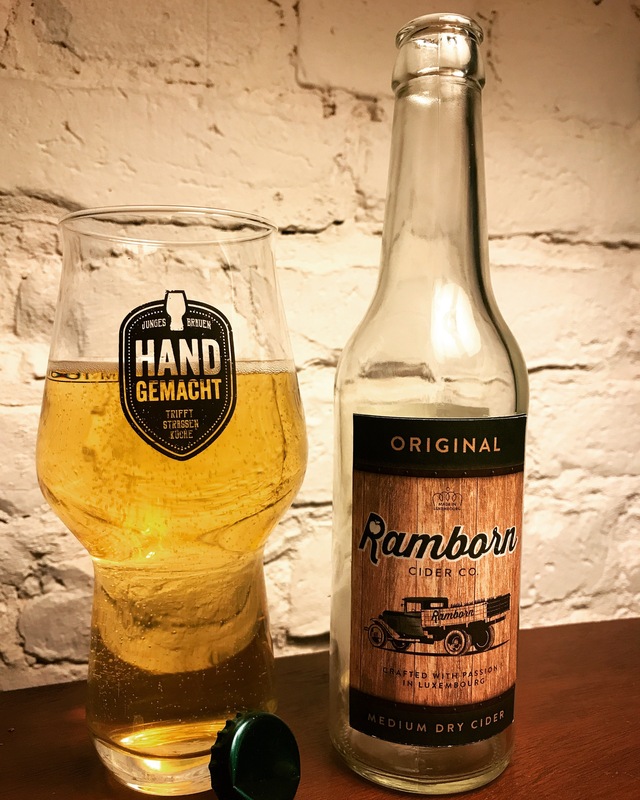 I thought it was a cider made by Rambo 😉 The origin of the name is indeed related to Rambo, not the action hero, but the apple variety mostly grown in Luxembourg and, also, used to make Ramborn cider. The ‘Born’ part of ‘Ramborn’ comes from the city of Born, where the cidery is located. Ramborn Cider Co have recently added two more ciders to their cider range featuring now the Original, Farmhouse, Avalon, Somerset Blend and Perry. Today I’m reviewing the Original, which picked up the Bronze medal for this year’s International Cider Awards. 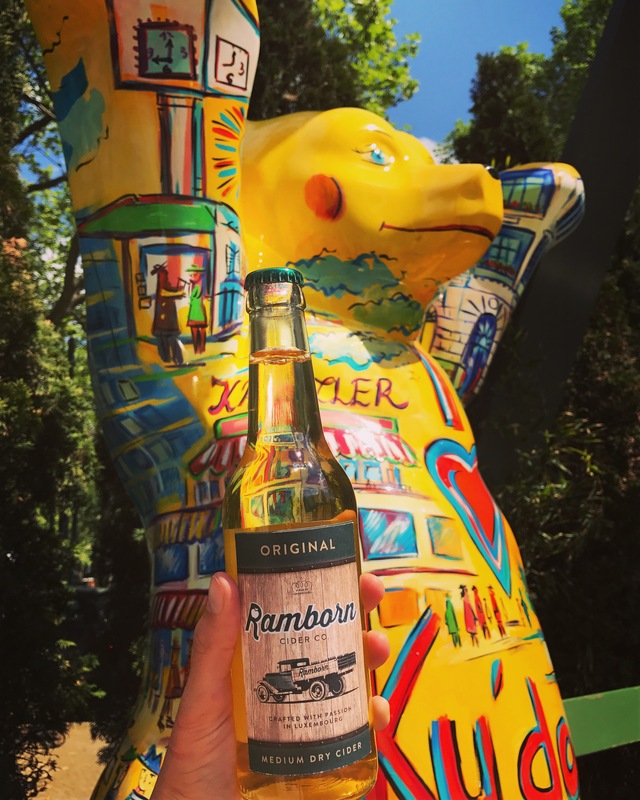 Company: Ramborn Cider Co.
Apples: Rambo apple blended with other varieties such as Boskoop, Bohnapfel, Porzenapfel, Luxemburger Triumpf and Luxemburger Renette. Appearance: pours a clear golden with a fizzy short-lived white head. Carbonation is artificial but long-lasting. Body is light to medium. Aroma/Nose: once I’ve opened the bottle pleasant scents of apple pie with caramel, and overripe apples appeared. Subsequently, when I poured the Original into a glass I could additionally smell fresh red and green apples with a touch of wood and something slightly sweet. Taste: it begins slightly sweet with very low acidity. I would describe the sweetness level as medium than medium dry. The mid-palate has flavours of red ripe apples and apple juice with a touch of champagne/white wine and smoky ham. The finish is dry with gentle bitter notes and lingering red apple skins flavour with a delicate astringency. Availability: online from Ewald Wolter or Luxcaddy. Fabrik. Locally everywhere in Luxembourg, e.g. at a supermarket chain called Coral and other supermarkets or bars. Even at the airport! In Germany available from The Hop Shop Trier and online from Ciderei. In the Netherlands from CiderCider. In Switzerland from Ciderhouse.ch. In Italy from Sidro & Cider.